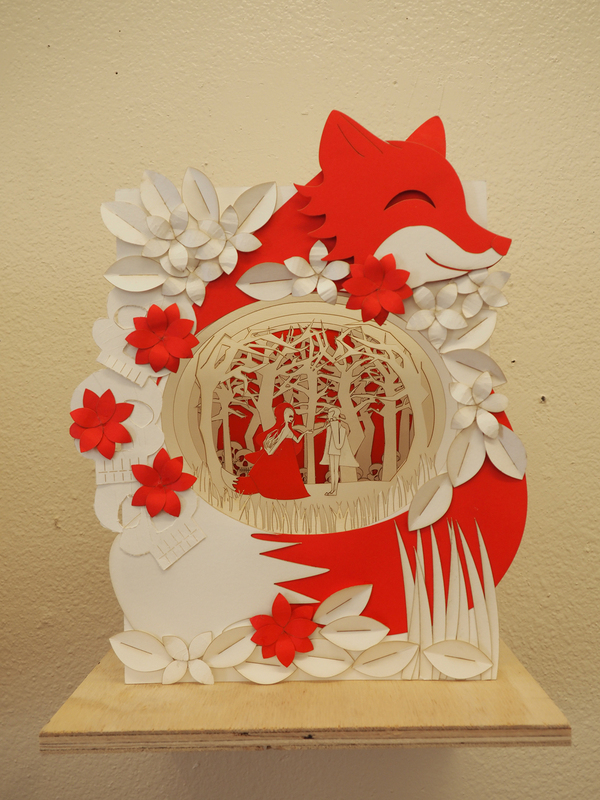 "Ive always wanted to do paper sculpture, but I was never good with an x-acto-knife. 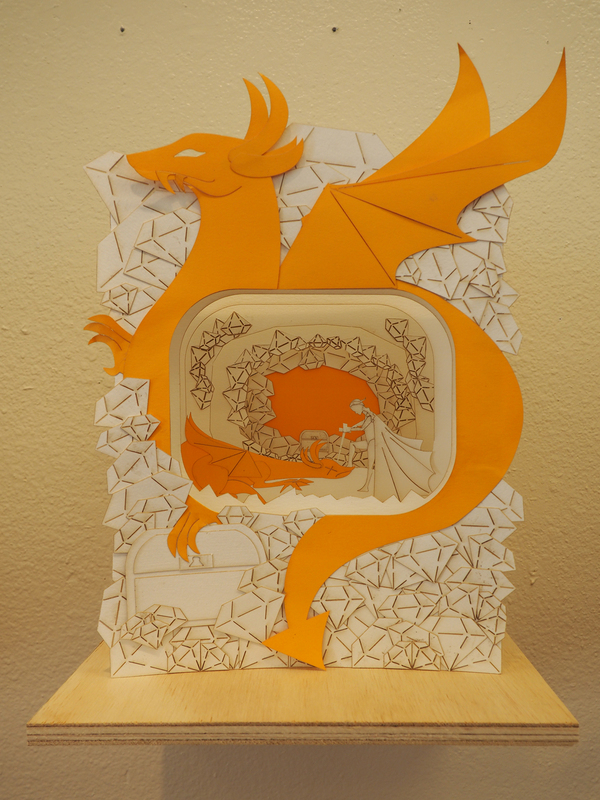 The laser cutter provided me the perfect opportunity to have my dreams come true, as the machine could make precise cuts on aper from a design on a digital file. My project is a series of tunnel books that I drew inspiration from stories that I knew, but its' more up to the viewer's own imagination to know what the story is about. My process begins with a digital sketch of every layer of the book using Photoshop and then I use Adobe Illustrator to change my designs into vectors. Each element of the scene has it's own layer and each page too. After I've finished vectoring all the elements, I divide the elements by having the pages of the book be printed on 9x11 and everything else on 11x15. Colored paper is used for the creature on the cover and in the tunnel book, it's also used for the back. 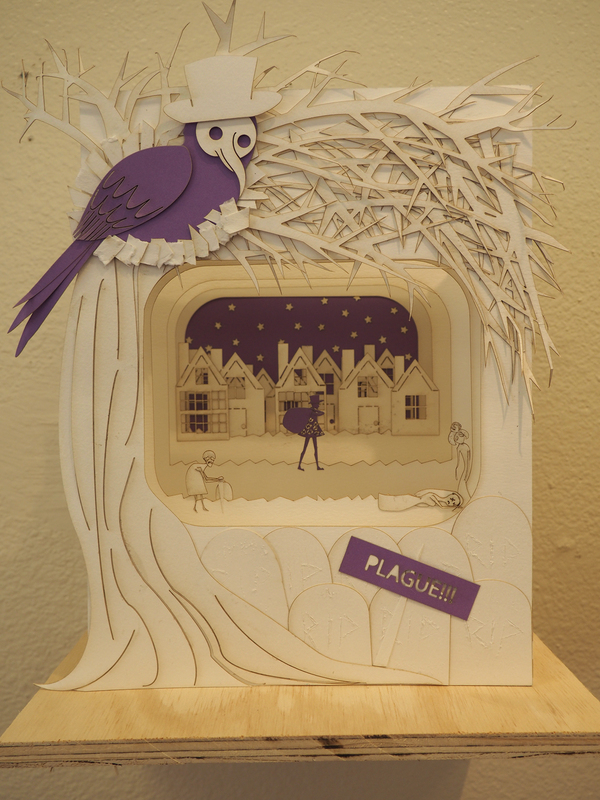 fter the elements are laser cut, I use a tweezer and tacky glue to place all the pieces on the pages. The hinges of the tunnerl books are similar to an accordian, it gives depth to the pages when expanded. The pages are also glued to the hinges."